Google recently started the rollout of the Google app’s new beta build (version 7.21), and it has finally brought a new Lens image donation feature which has been making rounds on the rumor mill for quite some time. 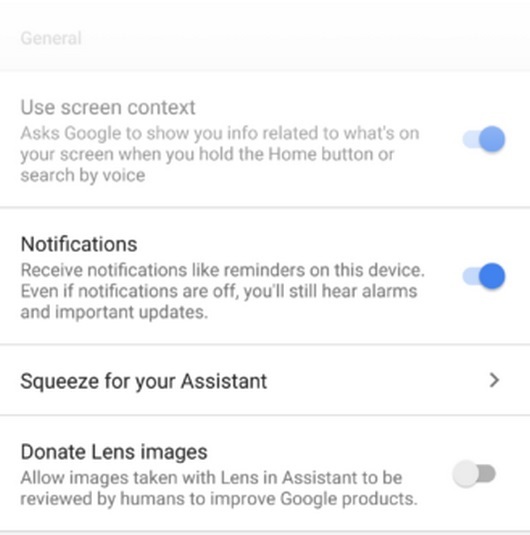 This feature makes it easier for users to choose whether they want to contribute in improving Google Lens, the visual recognition featured baked into Google Assistant. In addition, there are other changes which were spotted by Android Police. Let’s take a look at the most interesting of the lot. Strings spotted in the app’s code mention a feed tuning feature, that will supposedly populate the Google feed only with information relevant to users after assessing their ‘reaction’ to certain stories in the feed. Statements like ‘Is this card useful right now?’, and subsequent responses for your action such as: ‘Got it. We’ll tune your feed’ or ‘We will show less of this’ are a clear indication that users can soon customize their feeds, which is a much-requested feature already. The current customization options in the feed don’t seem to work as well as one expects. Finally, the beta also sheds some light on Quartz, Google’s smart display platform. It mentions support for features like YouTube recommendation and commands for making online purchases like ‘checkout’, ‘place order’, ‘cart item quantity’ and ‘cart subtotal’ among others. In addition to the aforementioned features, functionalities like support for automatically selecting the default media playback device and new notification channels were also spotted.